Welcome to the GetFeetwet Tackle Wholesale Program. The GetFeetwet Tackle Wholesale Program is an important component of GetFeetWet's mission of providing clients with the ultimate bow-to-stern sourcing solution. To offer a truly viable and practical program GetFeetWet embarked on a mission to build a supplemental sourcing network comprising of leading tackle manufacturers and tackle distributors. The tackle offerings from this program covers the full spectrum of tackle related gadgetry from reels to fish hooks, from apparel to eye-wear, from lures to storage, etc. Does the progam have minimum order requirement? Will an order be processed if the minimum order requirement is not met? What is the vendor list and how should it be used? Aside from savings, are there other benefits from the program? How can I get pricing and availability information? Does the program have minimum order requirement? GetFeetwet Tackle Wholesale Program is flexible wholesale program that has minimum order requirements to be eligible for the wholesale discount and direct manufacturer drop ship. To avail of the wholesale discount (projected to be 10% on average), a minimum order of $750 worth of tackle related products must be purchased in a single order. This minimum order requirement, however, can also be met with an order for $500 worth of tackle related products in combination with $500 worth of non-tackle related products, including marine electronics. 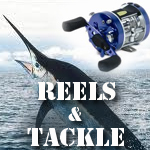 The wholesale discount will be applied to the tackle products that are part of the said order. To get approval for the wholesale discount for tackle products, GetFeetWet has committed to a minimum order arrangement with manufacturers and tackle distributors. While some client tackle requirements may be too small to meet minimum order requirement of the program, clients can easily look into combining tackle requirements with non-tackle requirements or consolidate their tackle requirements with tackle requirements of their associates. Will an order be processed if the minimum order is not met? In order for the GetFeetWet Tackle Wholesale Program to avail of the wholesale discount from manufacturers and tackle distributors, an agreement has been reached that a minimum order must be met before the order will be processed. If a client submits an order that is less than the minimum amount, the order will have to be consolidated with other client orders before a purchase order can be released to the manufacturer. Consolidation can take from one day to several days depending on order coming in from other clients. The client will still be entitled to the wholesale discount but will have wait for the order to be consolidated. The program targets requirements that will generate signficant savings to clients and does not seek to compete with tackle retailers whose business model is to cater to smaller transactions. For smaller amount orders that are towards the low end of the total order amount spectrum (e.g. less than $100), we suggest purchasing directly from a tackle retailer as the potential savings may not justify adding items to the purchase that are not immediately needed just to avail of the discount. Order totals that are closer to the higher end of the total order amount spectrum (e.g. $400+) should be revaluated to determine what products can be added or quantities increased so that the order will meet the minimum order requirements so that the order can be processed without delay. Note that program allows for the minimum order of tackle related items to drop from $750 tp $500 when combined with non-tackle products in the same order (see above). IMPORTANT: DO NOT place an order directly with the vendor website if you wish your purchase to avail of the wholesale discount. Aside from savings, are there other benefits of the program? 90% of orders will be dropped shipped from manufacturers. This will guarantee the latest built of each product if available from the manufacturer at the time needed. Furthermore, the network of tackle distributors will provide supplemental sourcing options which will ensure that the target 99% fulfillment rate of orders defined for the program is achieved. Who can most likely benefit from the program? The GetFeetwet Tackle Wholesale Program is ideal for clients with tackle requirements that is part of larger upgrade or outfitting project. The program is designed not only to generate signicant savings for clients but more important, it designed to save precious time by not having to search and deal with multiple companies to acquire a list of tackle gadgetries. The GetFeetwet Tackle Wholesale Program is also ideal for trade partners, professional installers, and dealers who wish to offer complete solutions to their clients. For these clients, bulk-buy pricing is also available for larger quantity requirements. Simply eMail Order Desk: sales@getfeetwet.com to get a formal quote. The GetFeetWet Tackle product line consists of over 15,000 SKUs and from over 150 brands. While we have added the more popular SKUs in our catalog, 80% of the tackle SKUs are not in the GetFeetWet online catalog. The GetFeetWet online catalog already has over 130,000 active SKUs. To continue to deliver decent website performance, we need to be selective when adding more SKUs to the catalog. Only tackle SKUs within a certain price range and tackle SKUs that are popular among clients have been added to the online catalog. Clients need only email their requirements to GetFeetWet order desk (sales@getfeetwet.com). The GetFeetWet White Glove Service will confirm not only best pricing given the volume requirements but target delivery date as well. volume requirements but target delivery date as well.